● Saturday’s race marked Briscoe’s first career victory in his 14th career NASCAR Xfinity Series start and his fourth start in SHR’s No. 98 Ford Mustang. 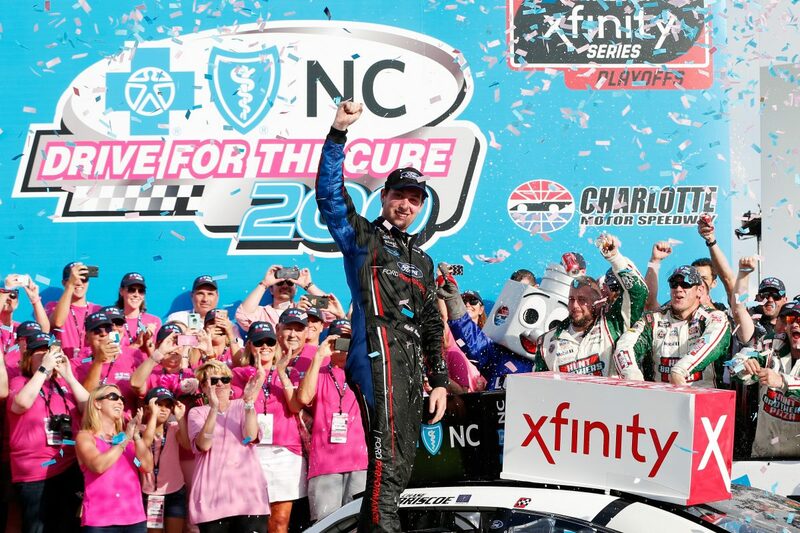 ● Briscoe’s victory in the Drive for the Cure 200 presented by Blue Cross Blue Shield of North Carolina marked the 55th overall win for SHR. ● Five cautions slowed the race for 10 laps with 30 of the 40 drivers finishing on the lead lap. ● Saturday’s victory marked the second win for the No. 98 team. Kevin Harvick won on Feb. 24 at Atlanta Motor Speedway. ● Briscoe also won the July 18 NASCAR Camping World Truck Series race at Eldora Speedway in Rossburg, Ohio.